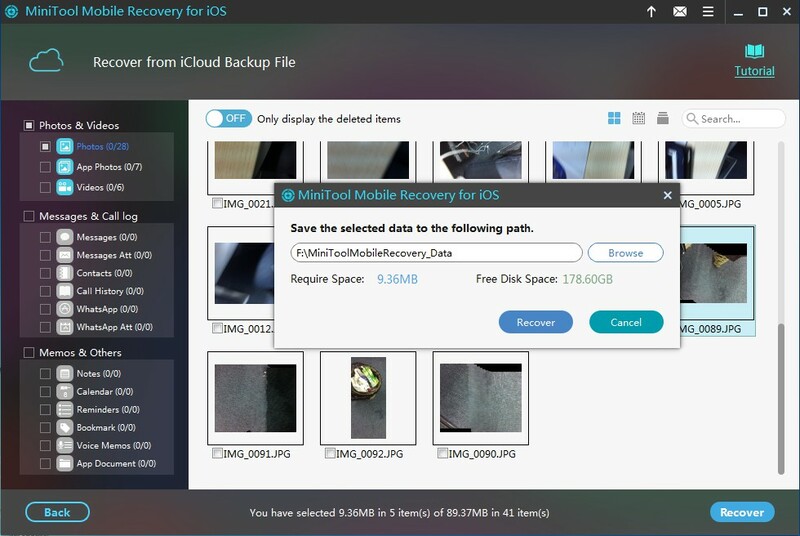 If you have backed up your data from iPhone, iPad, and iPod touch to iCloud or auto backup has been made before data loss, the functional module „Recover from iCloud Backup File“ can help get the lost data back. 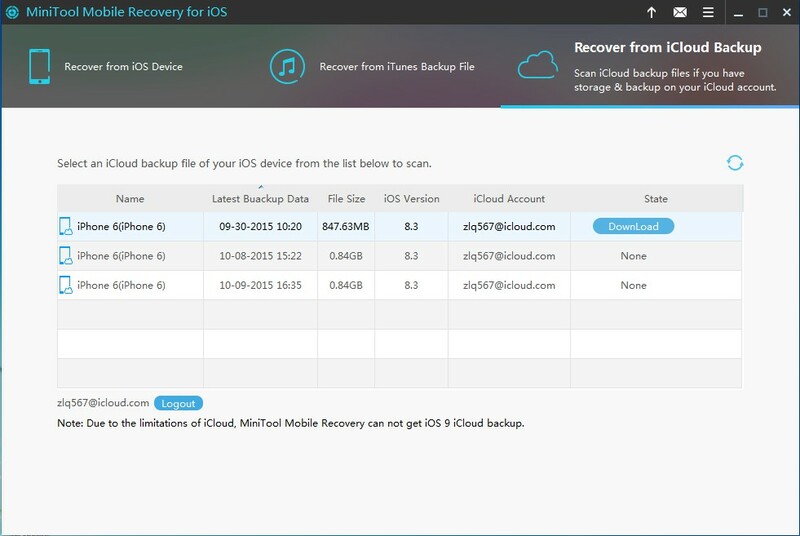 After users log in iCloud successfully, all backup information under this iCloud account will be listed. Please select the backup you want to download, and then our program will download it to the local automatically. 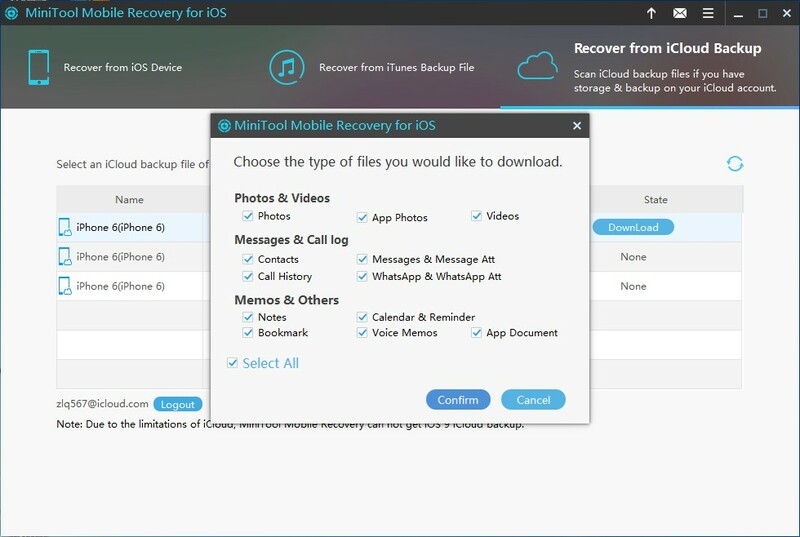 In addition, with scanning the downloaded backup, you are able to find the data you backed up, and then recover needed ones to other devices, which requires 3 steps only, with the help of MiniTool Mobile Recovery for iOS . Please type your iCloud account and password to sign in to iCloud. Then, the program will download and list all backup information under the very iCloud account automatically. This may take sometime, and it depends on how many data you backed up and how large these data are. When all backup information has been listed, please select the backup you want to recover data from by viewing the name, size, date, etc. of the backup, and then click „Download“. Afterwards, a window for choosing file types will be shown. Here, you can choose the types of files you want to download, which will reduce downloading time, and then click „Confirm“. 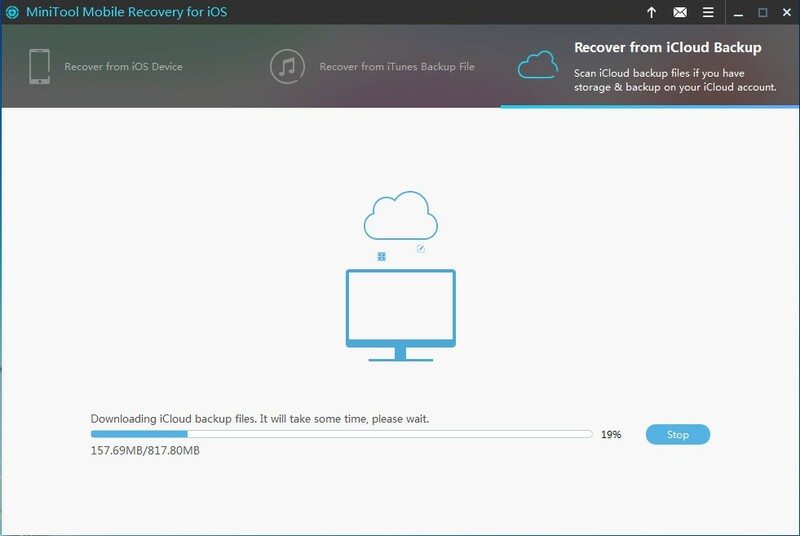 After these operations, the program will start downloading iCloud backup files. 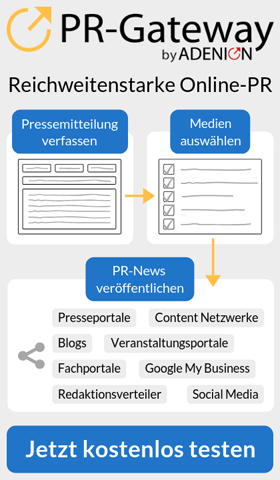 Tip: apart from real data, the backup contains many other types of information, like applications and data related to those apps. Therefore, users had better choose specified files types to download rather than download all. 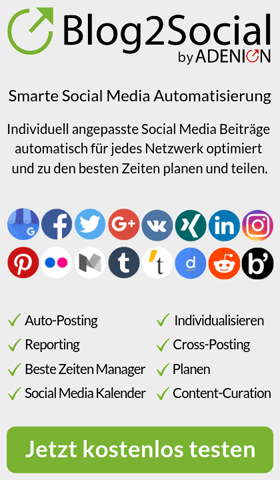 In addition, data you select to recover had better be less than 1GB. If they are larger than 1GB, download them in batches. After successful downloading, the program will scan and classify files automatically. With choosing specified types of files to scan or searching appointed file, you can locate the lost data quickly. If you find the data you are looking for, check it and click „Recover“ button. Then, the program will give a default save path. Of course, you can also click „Browse“ button to choose a save path in accordance with actual demands. After confirmation, all checked data will be saved to the appointed location.